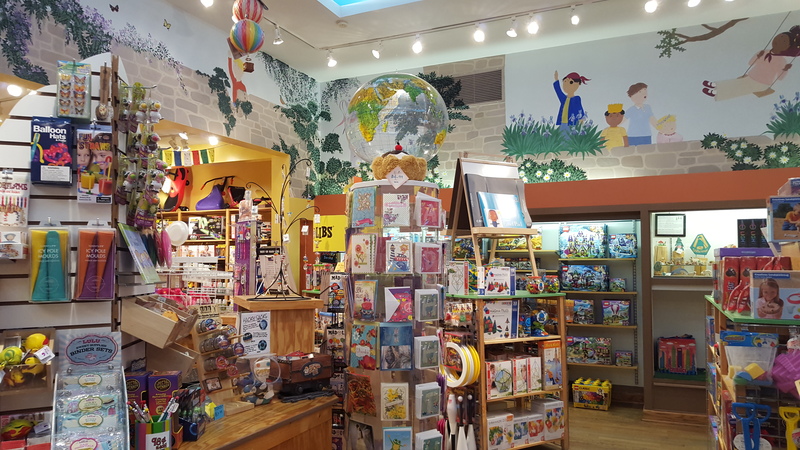 A few weeks ago I had the chance to visit an amazing toy store, the Magic Tree Bookstore in Oak Park. It was full of colorful, educational, and fun, toys, books, and games. With Winter coming around the corner, having interesting games, toys and activities for active kids who will soon be cooped up inside is a great strategy for parents. 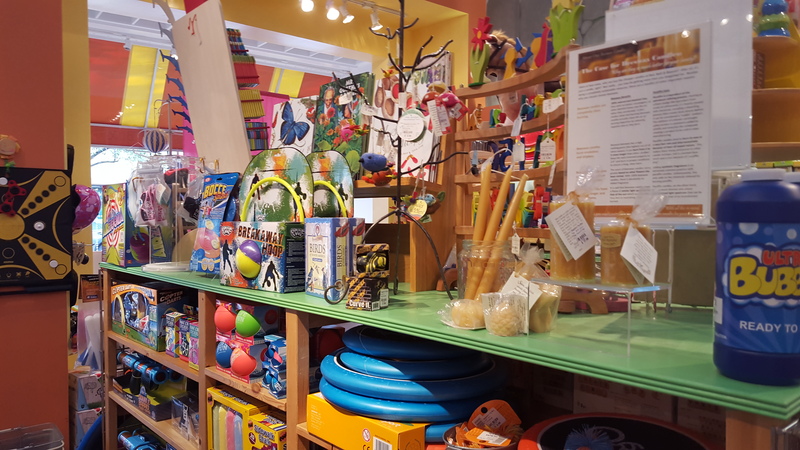 Magic Tree has crafts, magic trick sets, basic loom making kits, all kinds of clay and art supplies, educational coloring books (Color a dinosaur! ), easy snow cone and ice cream makers, colorful chalk, frisbees of all sizes, candle making kids, superhero action figures and a few play areas for kids to play while mom and dad, or grandpa and grandma shop. And play isn’t just for children. Adults can benefit from play as well. In, The Benefits of Play for Adults, from Helpguide.org, authors explain how play can help adults reduce stress, be more creative and increase productivity at work. 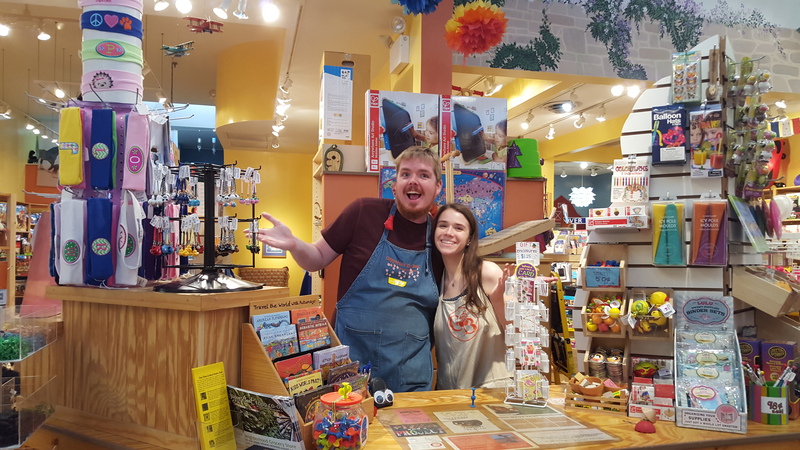 Magic Tree is one of the few remaining stores that sells games like Settlers of Catan and games that encourage cooperation instead of competition like Cauldron Quest. There’s something for everyone, young and old. Bubbles, balls and building materials for your own kids or the kid in you. Play can be a great stress reliever, no matter how old you are.